G Michael Salon in Noblesville Indiana was voted the #1 BEST Hair Salon in Indianapolis and came in 2nd place for BEST Hair Color and BEST Waxing on the The Indy A-List 2012. G Michael Salon was among over 200 Salons in the running for this prestigious award. Greg Lee and his team are honored and very proud to find out about this win. Greg said, “We couldn’t have done this without all of the Indianapolis community taking the time to vote for us and we really appreciate each and every one of them!” This award comes at the same time of G Michael Salon winning BEST Hair Salon by North magazine 2012 and also being featured as a Readers Choice salon in the October 2012 Sophisticate’s Hairstyle Guide. The Artistic Design Team at G Michael Salon loves raising the bar, building long lasting relationships and is excited to provide excellent services to the Indianapolis area. Schedule now and find out…what your locks have been craving. 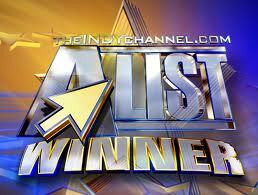 G Michael Salon wins BEST Hair Salon in Indianapolis on the CityVoter A-List. G Michael Salon is located in Noblesville Indiana.